The UK currently grows 16 hops for commercial use. The current acreage for UK hops is around 2,500 which is just 2% of the world hop-growing market. At one point in history, the UK grew 77,000 acres worth of hops. What went wrong? M&B are releasing a new beer across their pubs call Top of the Hops, brewed by The Great Yorkshire Brewery at Cropton. It uses 2012 different hop varieties and all of those hops were grown in Britain. The majority of these are varieties not ready for commercial use yet, bolstered by the ones which are available. Using 2012 different hops is a bit of a statement. Personally, I think it’s a brilliant idea, not for the story of using so many varieties, but because it’s highlighting the British hop industry at a time when American and New World hops are getting all the attention. The fact that only 16 British hop varieties (Charles Faram currently stock 35 different US varieties) are available for commercial use is a bit sad, but that there are almost 2000 which aren’t yet ready, but might be one day, is very exciting. The last few years has seen the Americanization of British beer but I hope that 2012, alongside the delicious US-inspired stuff, could see more British hops from the more prominent British brewers, showing the great flavours they can give. It’s also interesting to know that new UK hops are being developed specifically to have similar citrus and fruity flavours to American varieties. 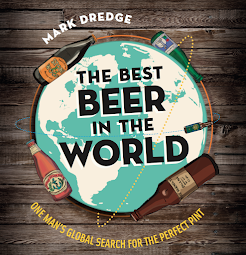 Top of the Hops is available in December, January and February from M&B pubs. I haven’t tried it yet but in support of the British hop industry I want to and I will. In a few years we could be seeing a lot more variety in British hops and that’s exciting. British hops used well is a great thing, right? no idea there were so many...where are they putting them all and how did you find out? Lets hope for the best that we get something British grown that is better than my fav, Challenger. We want to grow our own, very small scale, on our allotment next year... if you have any contacts we could talk to about British varieties, and of course, sourcing some, please drop me a line? Thank you ever so much! Could you have a word with certain breweries here in the North West? If there are an average of - what is it - five hops per pint of beer(? - someone correct me if I'm wrong), you'd have to drink more than 400 pints of Top of the Hops just to have an even chance of tasting every one of the 2012 varieties. Steve - They are all being grown in Kent at Wye Hops. pdtnc - I've had some amazing beers made with Fuggles. They need to be drunk fresh though to get the flavour, otherwise it seems to fall inside the beer quickly. Target is a great hop - I have a mental taste of Thornbridge's Halcyon in my head with that one! Kavey - There are a few places you could try - Charles Faram and Wye Hops. Or you can probably by rhizomes online. Or see the link below your comment. Martyn - Is that a challenge?! Kavey - make sure you have a big support for it - they grow to enormous sizes very quickly unless you go for a dwarf variety like First Gold, which is shorter and bushier. Trends in anything mostly come around because it's something new; so as we deal with raw ingredients, there will always be trends happening. If the introduction of New World and US varieties makes us think of what's close to home in new ways, then I'm all for it -and that's good for the scene. I definately sensed a move towards using (and being proud of ) UK hops in the latter part of the year. My personal epiphany was Durham's Something Blue (Royal Wedding Beer) - it was a 10% Fuggles IPA and it was *stunning*....I'll try and track down this 2012 - although I doubt I'll be able to tell what's in it!! Wye Hops grow experimental crops of something like 4000 varieties each season. The English climate is perfectly capable of growing hops with similar qualities to those produced in the New World and US - it is simply that, traditionally, the home market has chosen not to adopt the more citrusy type of hop. Kent Brewery is committed to encouraging the growth and use of these crops as an alternative to the imported varieties. The development of these alternatives will bring considerable benefits to the UK: the local economy, especially hard-pressed farmers who struggle to produce competitive produce; Brewers, who are subject to the vagaries of the import market and international hop-growers; and of course the UK consumers, who will benefit from a potentially endless supply of beers with new and exciting tastes. The US and New Zealand especially have shown the potential for hops to a burgeoning craft beer audience, it is now up to the UK to show that we can produce hops that can compete with the best of them. hear hear, would certainly like to try some of these!